Is There a Best Season to Sell? It’s interesting to note how so many things have their “season.” Hockey in the winter. Vacations in the summer. Gardening in the spring. Even retirement reportedly occurs more often in the fall than any other time of year. To some extent, even real estate seems to have a season. 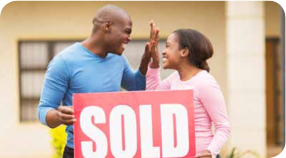 The spring is traditionally an active time for home sales. But, does that mean you should wait until spring to list your home? BY ALL MEANS NO! Properties sell all year round. There are buyers actively looking for homes at all times of the year. In fact, there are bound to be buyers interested in your home if you were to list it this month. While it’s true that the market may fluctuate throughout the year, with some months featuring higher or lower prices than others, those variations are nearly impossible to predict. So, it doesn’t make much sense to wait for the “perfect” month to sell, because that perfect month is just as likely to be this month! If you try to sell your home during a month when prices are up a little, you may need to buy another home in that same market. So, you’re really not gaining. The same holds true if you sell during a month when prices have softened. So, if you’re considering selling your home, don’t be concerned about picking the right month or season to list. Focus your efforts, instead, on selling your home for the best price and finding and moving into your next dream home. You can make that happen in any season. 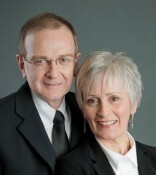 Wayne & Celeste Sanford - Royal LePage Atlantic Wayne & Celeste Sanford - Royal LePage Atlantic shared a link. We've enlisted today's hottest interior designers to count down the 35 top decorating mistakes and included their style-saving solutions.